Try Our Delicious French Toast! 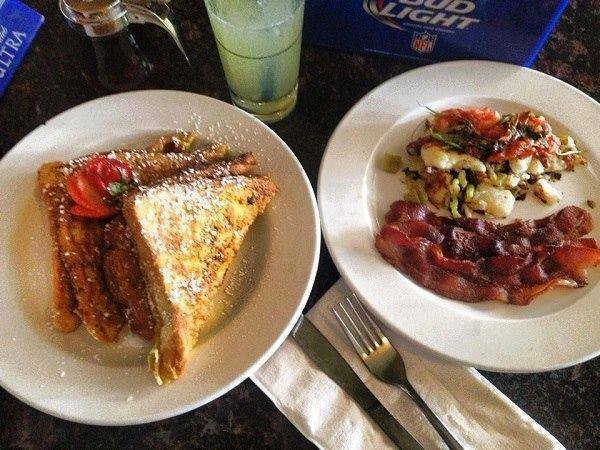 From French toast to breakfast sliders, we have delicious breakfast options for everyone – served until 1pm. And try one of our weekend morning drink specials – #BloodyMary or #Mimosa. And don’t forget about #HappyHour from 4:30-6:30pm for great food & drink specials!